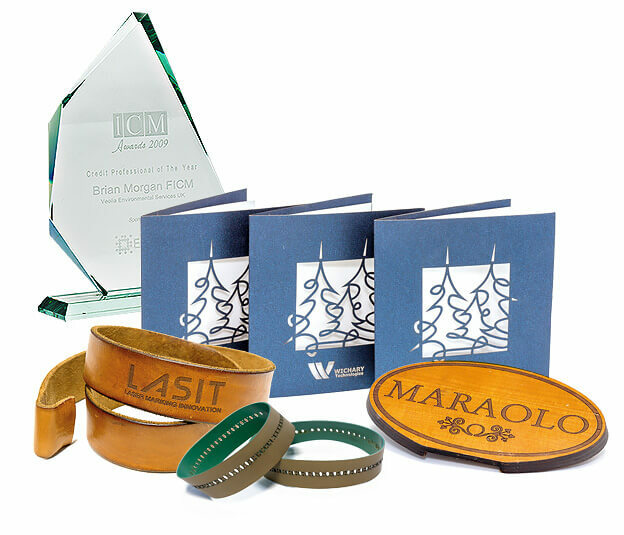 When performing a laser marking on organic materials, the CO2 source is the best solution for marking on glass, leather, wood and paper, whereas the YAG laser does not normally deliver satisfactory results for these materials. Our CO2 lasers can be used quickly and permanently to mark alphanumerics, logos, and bar codes into a variety of materials at high speed. 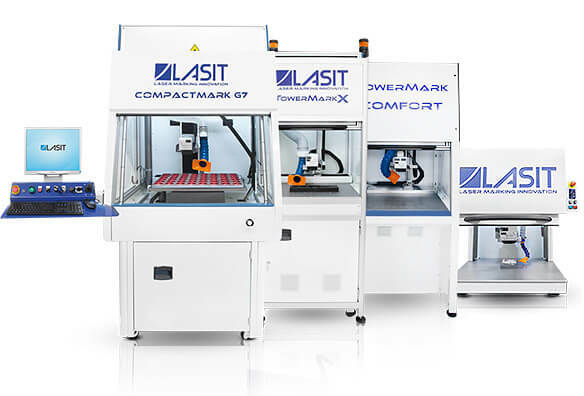 Among the outstanding features offered by laser marking are improved reliability and productivity respect to the conventional solutions such as ink jet printing. 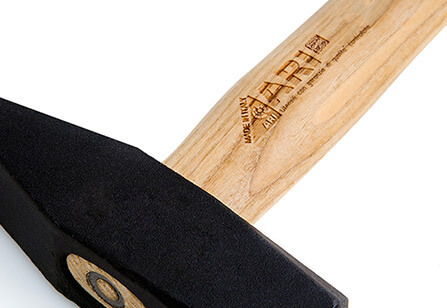 With a laser marking system you can mark and engrave from wood to paper, from glass to leather, regardless of the type of graphic design, alphanumeric text, logo or code. With the laser you can mark very small content with extreme definition, always guaranteeing maximum readability and quality, key elements to communicate product information. 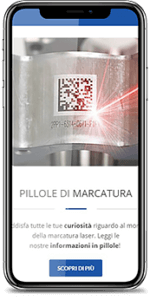 During the laser marking process the surface of the material stays uniform: the tone is achieved not via removal but by the localized heating of the material. Product traceability is forever guaranteed, since laser marking is permanent and resists both wear and contact with acids and heat. 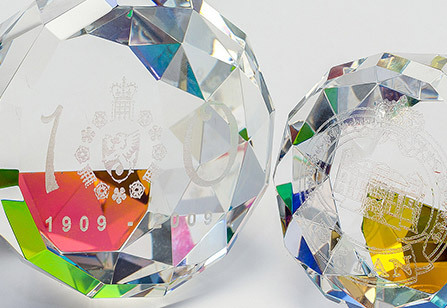 Laser marking is a fast process offering unparalleled quality, it allows creating different types of markings in extremely short timeframes without having to re-fit the machine. 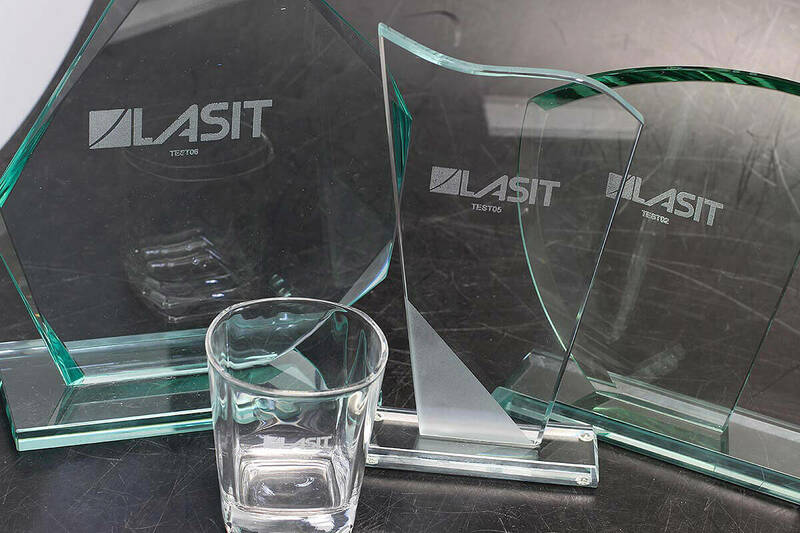 Our laser marking systems are resistant to wear and tear, do not require any prior or subsequent treatment, and do not involve any additional costs for the purchase or disposal of consumables such as inks, pastes or sprays. Laser engraving on wood is the process by which material is removed from the top surface down to a specified depth thank to tight control over laser modulation. 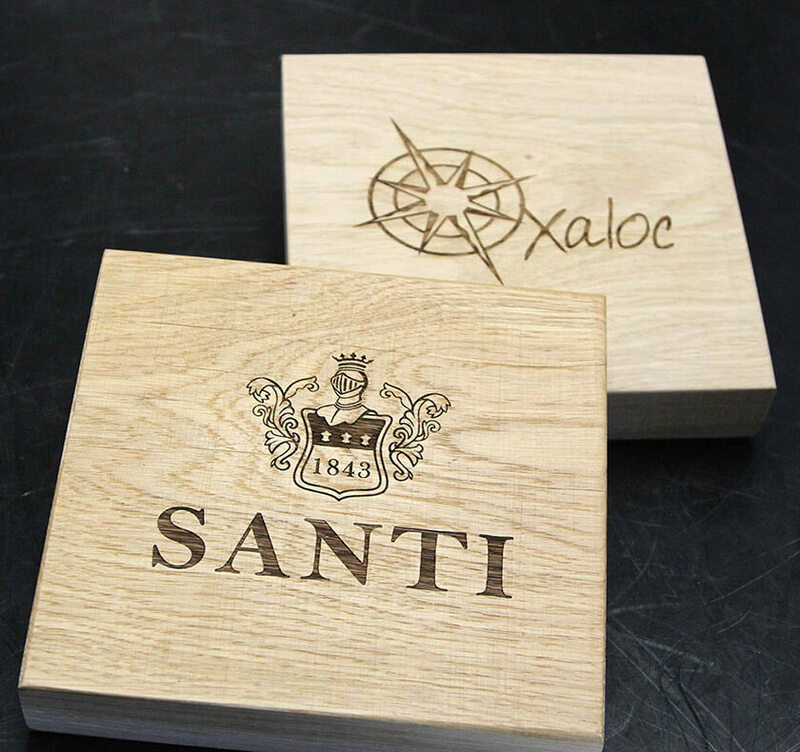 In the case of laser engraving on wood, the effect depends on which type of wood should be engraved. For example, while a maple plaque may give you a lighter engraving, cherry could appear darker and richer in color. 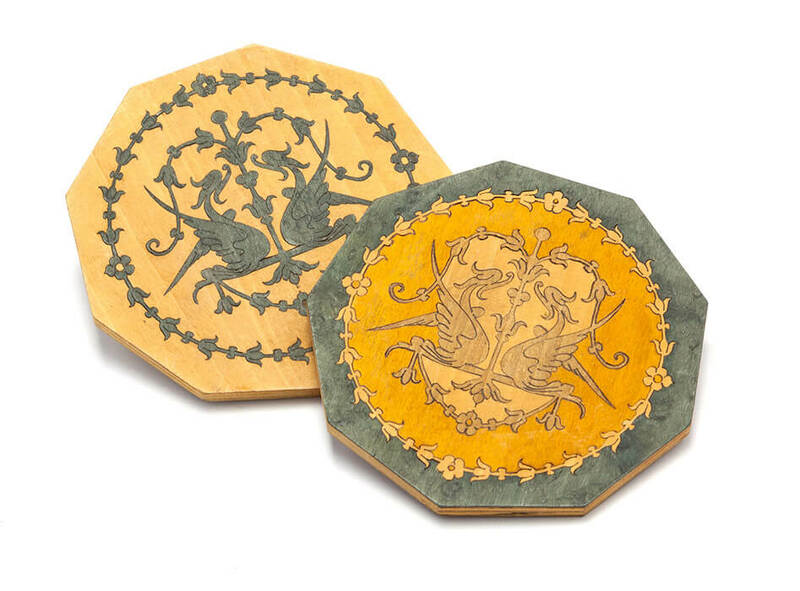 Comparing to other conventional solutions, such as the ink-jet printing or hot stamping using a die which cannot produce accurate details, a wood engraver provides the user with extreme flexibility and the ability to refine the parts in a very high quality. 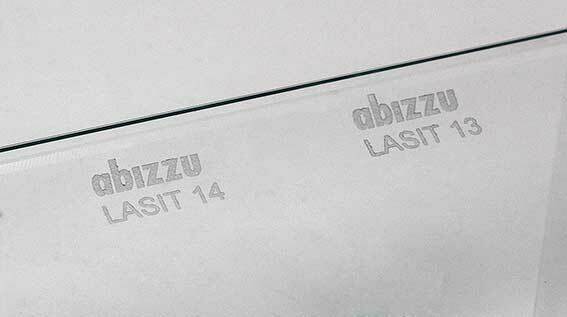 When laser marking on glass is performed it only scores the surface. With the fine laser beam and a rotating axis, even the most detailed pictures, but also texts and logos can very easily be applied. This application is typically used for the manufacture of glass wares for the gastronomy and housekeeping sectors. 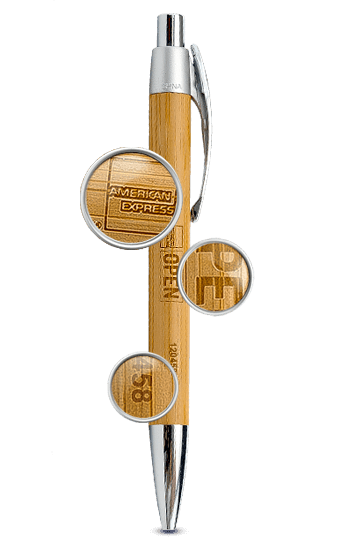 Typical marking contents are company logos as well as calibration marks. In the same way in the competitive wines and spirits market, the personalization of a glass or bottle allows the consumer to recognize a brand immediately. 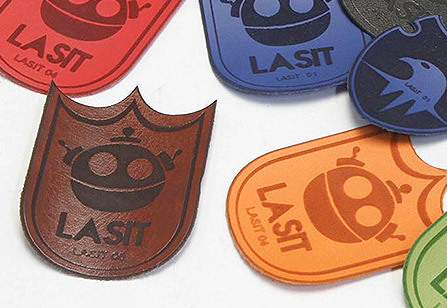 Because of its durability and nice contrast, leather is a very popular laser engraving. 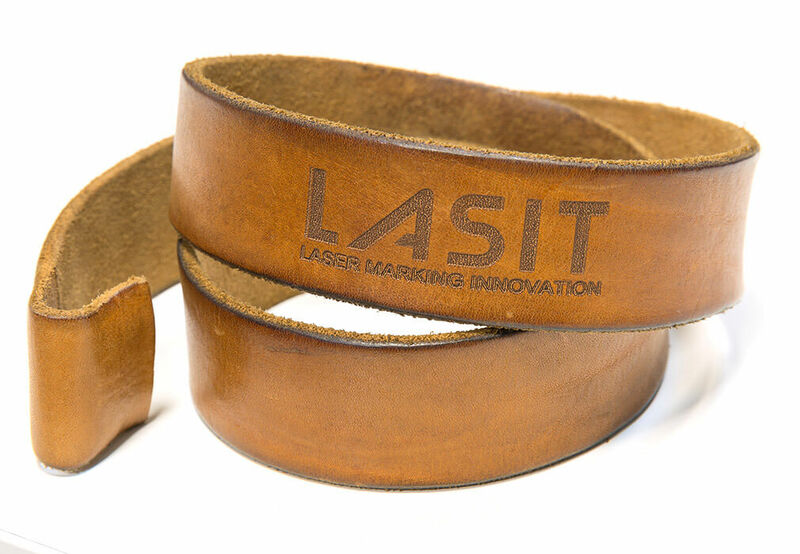 Genuine leather but also many imitation leather sorts are suited for processing with a laser. When laser engraving leather is performed, motifs, letters and designs are burnt into the leather. 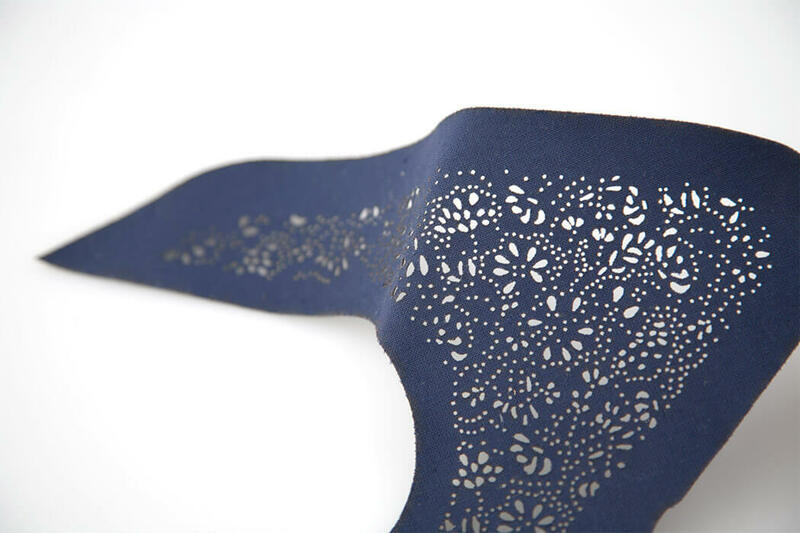 On the other hand laser cutting provides extremely precise cutting edges with no fraying of the material. Common applications involve mostly fashion personalization, finishing leather products with logos and designs or engraving leather bracelets, shoes, purses or book covers. Do you need to mark on organic materials?